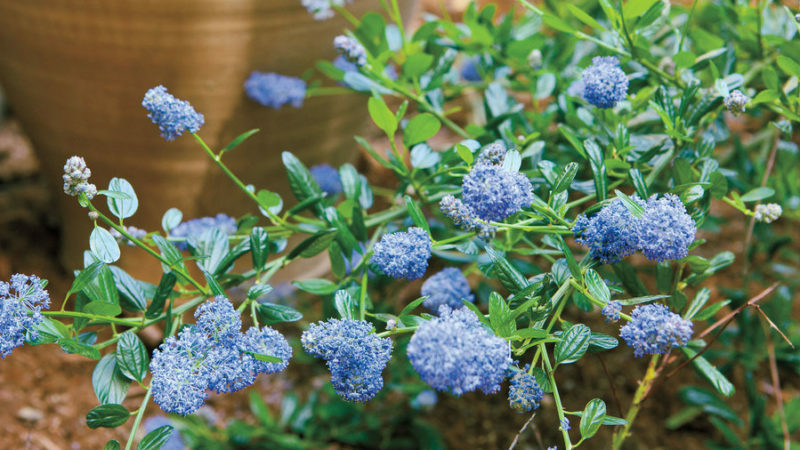 A classic West Coast native, this tall, blue-flowering shrub sports masses of frothy blooms from late spring through early summer. What’s more, it’s surprisingly fire-resistant, too. Re-sprouting vigorously after a burn, the shrub’s tough, dark seeds are also impervious to heat, germinating after a blaze has cleared land. Safe below the soil, almost all bulbs can tolerate low intensity burns—but the Columbia lily is one of the most beautiful to grow. 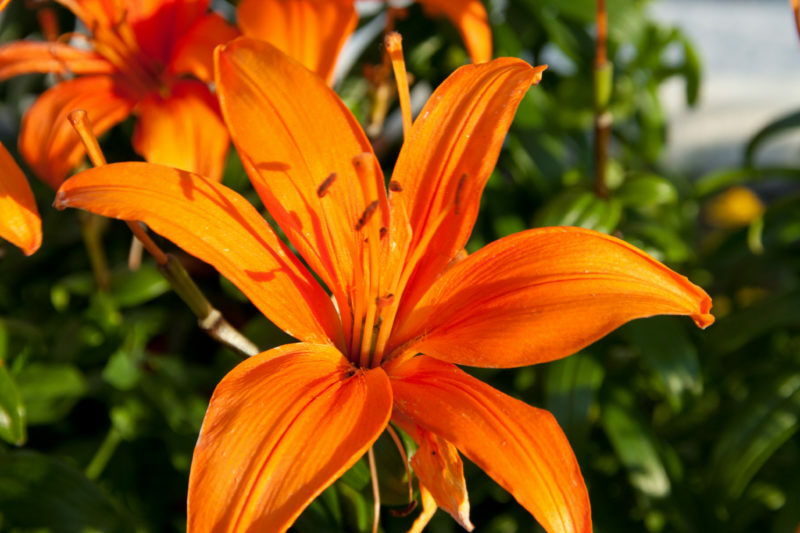 Native across the high-elevation terrain of the West, this lily boasts tall clusters of orange flowers June through August, setting hillsides ablaze in a wash of bright petals. 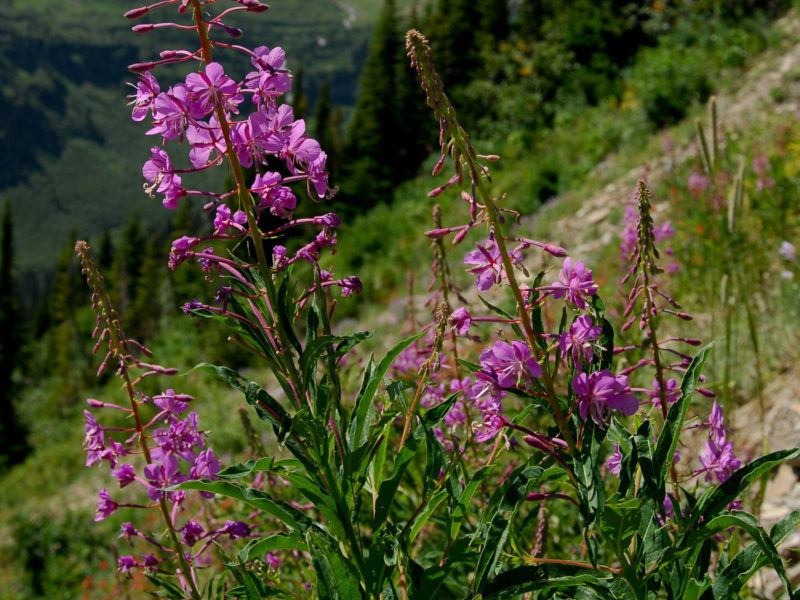 Depending on how deep fireweed’s creeping rhizomes go, this beautiful purple-flowering perennial can be seriously resistant to fire. Even in shallow soils, this relative of the primrose is a prolific disperser of seed, making it one of the first floriferous species to establish in newly opened burn sites. Found in moist, freely-draining soils from California through western Canada, bear grass is an adaptable member of the corn lily family. 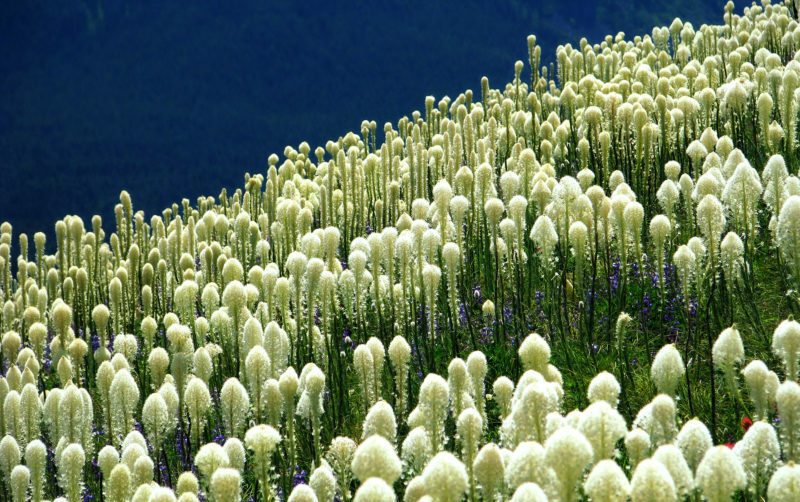 Opening plumes of white flowers in summer, the plant’s wiry leaves provide little fuel for wildfires while the rhizome lays buried beneath the soil, safe from all but the hottest of burns. 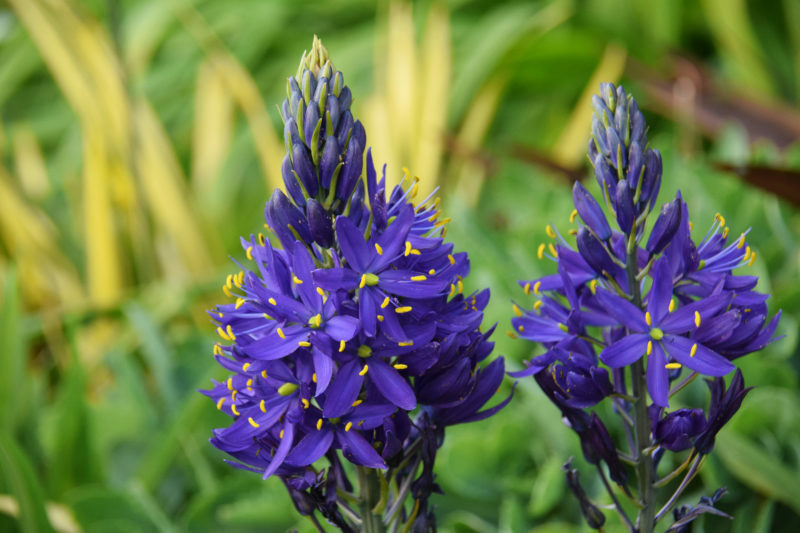 Another hardy, native bulb, camassia is an early summer staple in mountainous meadows across the West. Thrusting sky blue flowers upward May through June, this edible perennial thrives in areas burned by fire. In fact, Native Americans reportedly set fires to optimize production of this vital food source. 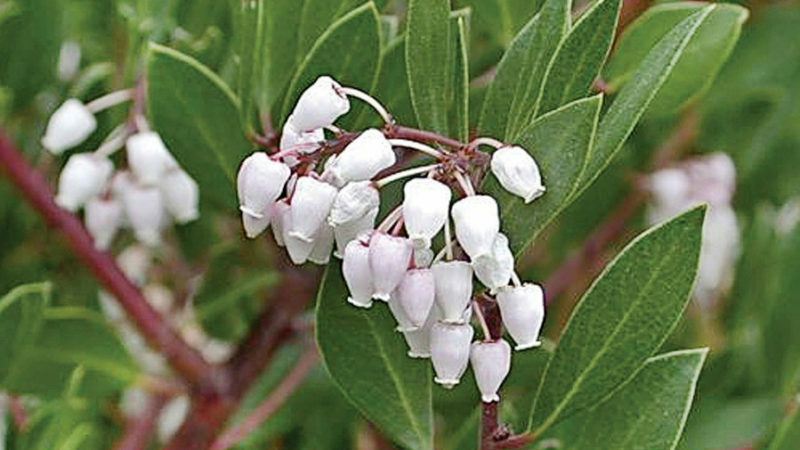 A gorgeous shrub laden with pendant flowers come spring, the manzanita is one of the West’s best fire-resistant plants. In the wild, many species of this rugged genus require fire to germinate. In the garden, the leaves of full-grown specimens will quickly burn in a fire, leaving the green wood of the shrub untouched. 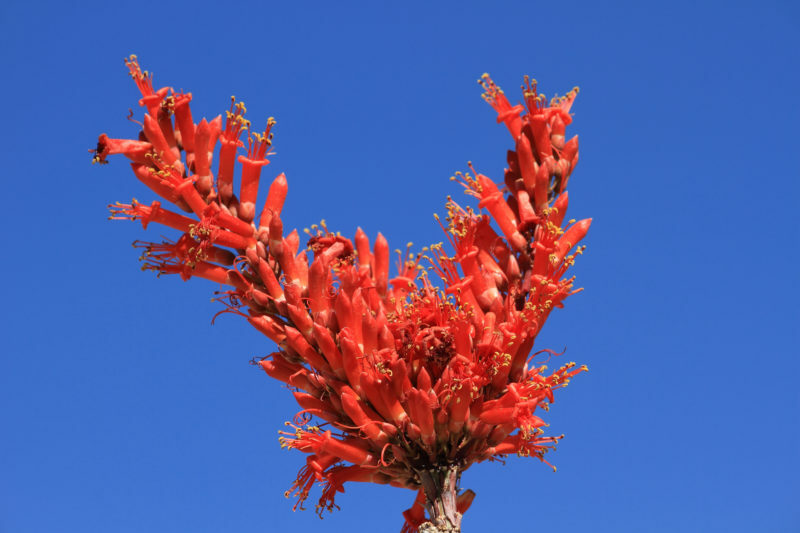 A true desert native, the ocotillo needs warm, freely-draining soil and a good dose of hot sun to thrive. No stranger to fire, this leggy shrub will re-sprout after a burn, wasting no time re-growing its long, architectural stems and bright red trumpet-shaped blooms. 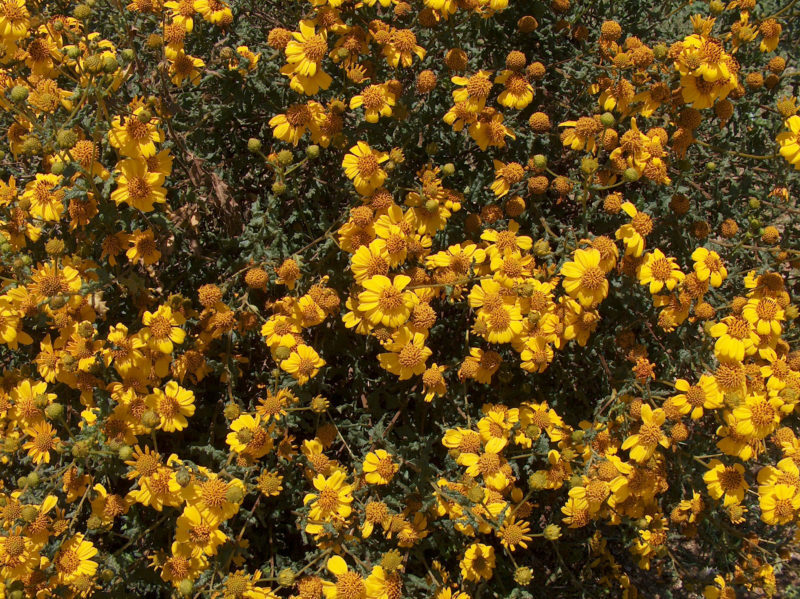 The San Diego sunflower thrives in those dry, rocky, hard-to-cultivate corners of the garden, bursting with yellow daisy-like blooms year-round. Accustomed to life in hot, fire-prone southern California, this sunflower is tough. In fact, virtually the only climatic variables it won’t tolerate are standing water and hard frosts. 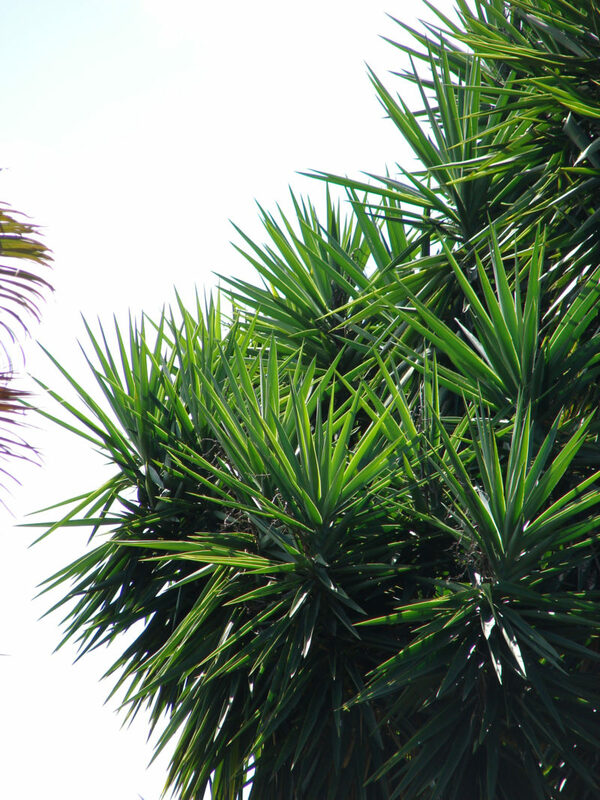 Icon of the desert west, the yucca is actually tolerant of a wide range of conditions. The towering spires of yucca’s blooms will dazzle in almost any environment—so long as they get plenty of sun. No strangers to fire, yucca’s tough, filamentous leaves burn slowly and many species quickly re-sprout after being burned.